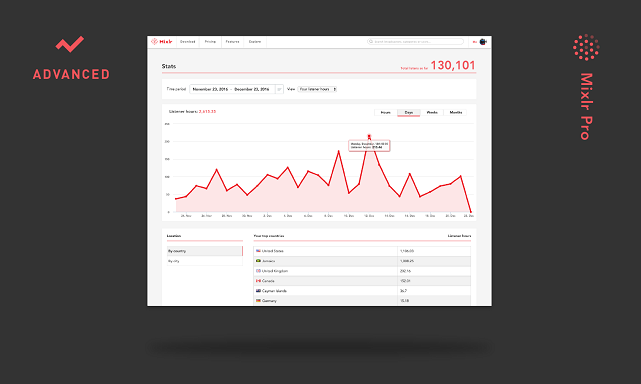 Stats help you understand your listeners, and provide insights into how well your broadcasts are performing. We want your stats to be as clear and consistent as possible. That’s why, over the past couple of weeks, we’ve been hard at work improving the stats we deliver. We’ve improved the email you get when you complete a broadcast. This now gives you a complete roundup of your live show, including the title, start date in your local time zone, the duration, the category you used, and your artwork. 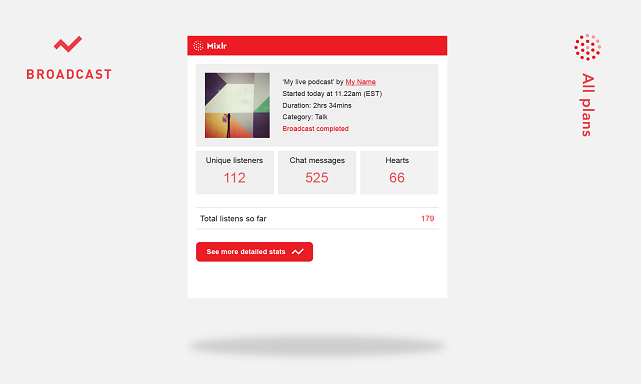 ‘Total listens’ (the total number of times your broadcasts have been connected to) is now displayed in your stats emails in addition to your Livepage. 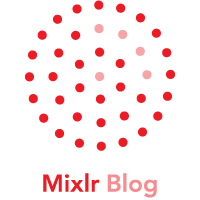 We’ve removed ‘Peak listeners’ (the maximum number of concurrent listeners that you had at a specific point in time during your broadcast) to avoid confusion with ‘unique listeners’. 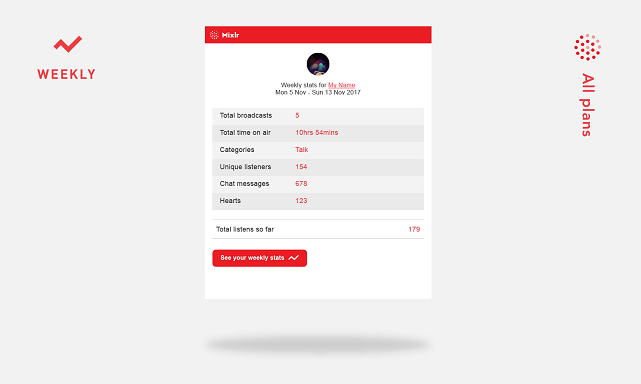 Your weekly stats email now gives you a summary of all the broadcasts you’ve completed that week. This includes your total time on air, and the categories you used. From your weekly stats email you can now jump straight to your stats dashboard for a more in-depth look into that time period (Pro plans only). The advanced stats dashboard is currently only available to Pro customers, but we’re working on making selected data available to all customers in the near future. As always, we’d love to hear your feedback and comments on what else you would like to see in your listener stats. Feel free to contact us with any questions / feedback.